MORRIS, Gouverneur, (half brother of Lewis Morris and uncle of Lewis Richard Morris), a Delegate and a Senator from New York; born in Morrisania (now a part of New York City), N.Y., January 31, 1752; instructed by private tutors; graduated from King's College (now Columbia University), New York, in 1768; studied law; admitted to the colonial bar in 1771 and commenced practice in New York City; member, New York provincial congress 1775-1777; lieutenant colonel in the State militia in 1776; member of the committee to prepare a form of government for the State of New York in 1776; member of the first State council of safety in 1777; member, first State assembly 1777-1778; Member of the Continental Congress in 1778 and 1779; signer of the Articles of Confederation in 1778; moved to Philadelphia in 1779; appointed assistant superintendent of finance 1781-1785; delegate to the Federal Constitutional Convention in Philadelphia in 1787 and one of the signers of the Constitution; returned to live in New York in 1788; went to Europe on business in 1789; Minister Plenipotentiary to France 1792-1794; returned to the United States in 1798; elected in 1800 as a Federalist to the United States Senate to fill the vacancy caused by the resignation of James Watson and served from April 3, 1800, to March 3, 1803; unsuccessful candidate for reelection in 1802; chairman of the Erie Canal Commission 1810-1813; author on legal and political subjects; died in Morrisania, N.Y., November 6, 1816; interment in St. Anne's Episcopal Churchyard, Bronx, N.Y.
Papers: In George Fox letterbook, 1786-1797; and Fox family papers, 1686-1881. Papers: 1768-1816. 1,374 items. Correspondence with many famous contemporaries relating to events in which Morris was a participant and concerning issues of interest including diplomatic affairs, public finance, and economics. Available on 5 microfilm reels. Finding aid. Additional Papers: 13 letters from George Washington in George Washington letters and documents collection, 1778-1796; in Van Schaack family papers, 1686-1887; Mott family papers, 1840-1954; John Jay papers, 1668-[ca. 1862], (copies in part, permission to use outgoing correspondence required); and Catherine S. Crary collection, 1724-1826. Papers: March 1, 1789-January 14, 1790. 1 item. Diary (copy). Also 19 items (1776-1808) in various collections. Finding aid. Papers: In Benjamin Henry Latrobe papers, 1788-1820. 315 microfiche. Published for the Maryland Historical Society. Finding aid. Papers: In Simon Gratz collection, 1677-1910; and Coxe family papers, 1638-1897 (bulk 1776-1879). Papers: 1771-1834 (bulk 1789-1816). 25 containers. Letterbooks of diplomatic, business, and personal correspondence; diaries; legal files; financial records; and printed materials. Available on 6 microfilm reels. Finding aid. Additional Papers: In the Croxal-Morris family papers; Morris-Popham family papers; Charles Thomson papers, 1765-1845, on 1 microfilm reel; and in Peter Force collection. Papers: Ca. 50 items (1770-1816) in various collections. Papers: In Anne Cary Morris papers, 1818-1828. Papers: 1777-1816. Ca. 150 items. Chiefly correspondence concerning the revolution, politics, and personal and business matters, and a portrait. Includes 74 letters (1781-1811) to Nicholas Low in Elizabeth M. Smith collection; and 134 letters (1790-1809) from C.J.M. De Wolf or, after 1806, his wife, concerning financial matters such as loans for the U.S., economic conditions in U.S. and Europe, and land speculations in New York. Papers: 1809-1843. 8 items. Chiefly correspondence with New York City Mayor Clinton. Papers: In Constable-Pierrepont papers, 1762-1911 (bulk 1774-1849); and Gilbert Holland Montague collection, [ca, 1600-1900]. Papers: 12 letters (1773-1811); and 1 letter (1814) from Morris to Lewis B. Sturges in Hathaway family papers, 1793-1862. Papers: 1795-1843. Deed and letters concerning travels and land transactions. Papers: In Humphreys-Marvin-Olmstead collection, 1776-1867; and Roger Sherman collection, 1749-1904. Research Libraries Information Network In addition to the institutions listed above, items are also cataloged in collections at: Rutgers University Library, New Brunswick, NJ. Adams, Willi Paul. " 'The Spirit of Commerce Requires that Property Be Sacred': Gouverneur Morris and the American Revolution." American Studies 21 (1976): 309-34. Adams, William Howard. Gouverneur Morris: An Independent Life. New Haven: Yale University Press, 2003. Brookhiser, Richard. Gentleman Revolutionary: Gouverneur Morris, The Rake Who Wrote the Constitution. New York: Free Press, 2003. Davenport, Beatrix Cary, ed. A Diary of the French Revolution. 2 vols. 1939. Reprint. Freeport, NY: Books for Libraries Press, 1971. Kaufman, Arthur Paul. "The Constitutional Views of Gouverneur Morris." Ph.D. dissertation, Georgetown University, 1992. Kirschke, James J. Gouvernor Morris: Author, Statesman, and Man of the World. New York: St. Martin's Press, 2005. Kline, Mary-Jo. Gouverneur Morris and the New Nation, 1775-1788. New York: Arno Press, 1978. Lodge, Henry Cabot. "Gouverneur Morris." In Historical and Political Essays, pp. 75-113. 1892. Reprint. Freeport, NY: Books for Libraries Press, 1972. Massaro, Dominic R. "Gouverneur Morris: The Constitutional Penman Revisited." Bronx County Historical Society Journal 24 (1987): 67-83. Mintz, Max M. Gouverneur Morris and the American Revolution. Norman: University of Oklahoma Press, 1970. Morris, Anne Cary, ed. The Diary and Letters of Gouverneur Morris. 2 vols. 1888. Reprint. New York: Da Capo Press, 1970. Nedelsky, Jennifer. "Aristocratic Capitalism: The Federalist Alternative of Gouverneur Morris." In Private Property and the Limits of American Constitutionalism, pp. 67-95. Chicago: University of Chicago Press, 1990. Robinson, Donald L. "Gouverneur Morris and the Design of the American Presidency." Presidential Studies Quarterly 17 (Spring 1987): 319-28. Roosevelt, Theodore. Gouverneur Morris. 1899. Reprint, with new introduction by Mary-Jo Kline. New York: Chelsea House, 1980. Sparks, Jared. 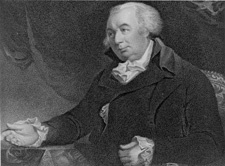 The Life of Gouverneur Morris, with Selections from His Correspondence and Miscellaneous Papers. 3 vols. Boston: Gray & Bowen, 1832. Swiggett, Howard. Extraordinary Mr. Morris. Garden City, NY: Doubleday & Co., 1952.